You are here: Home » Happy Cinco De Mayo! ¡Buenos días, amigos! Today is Cinco de Mayo, the day in which people of the United States and Mexico come together to celebrate Mexican heritage and pride. 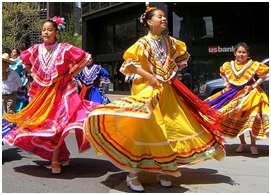 Contrary to popular belief, Cinco de Mayo is not Mexico’s Independence Day (that day is actually September 16th). Today is actually the commemoration of the Mexican army’s victory over French forces at the Battle of Puebla on May 5th, 1862. This represented a great victory, symbolizing unity and pride, and further bolstering the Mexican resistance against the French. Today, we celebrate the holiday by holding events, which include cultural food, music and dancing, as well as education. But, everyone has their own little traditions… for example, one sky-diving club in Canada holds a Cinco de Mayo skydiving event, many people around the world make the switch (if it is not already your number 1 choice) to Mexican beer for the day, and in the Cayman Islands, there is even an annual Cinco de Mayo air guitar competition! Many people cook Mexican inspired dishes in order to celebrate Cinco de Mayo. 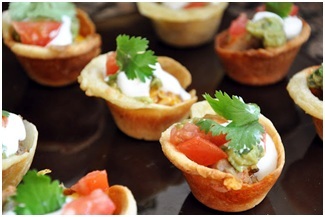 In fact, some sites like this one offer some great recipes, such as Nacho Cupcakes! If you’re working today in your chef uniforms, perhaps you may want to try a combination of green, white or red chef coats and pants to look like the Mexican flag! What’s your tradition? How do you celebrate this fun-filled holiday? Leave a comment below!